NEW!! Maltese Cross (standard or customized with your station number at no additional cost, or your organizations patch made into a car magnet. 2 pc minimum on custom. 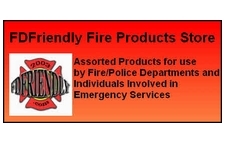 This new car magnet utilizing the PA State Special Fire Police logo adheres to metal surfaces such as car doors, etc. Available in 4", 6" 12" Sold as eaches. Purchase two if planning on using on each side of your vehicle.